We’re not doing such a great job solving the whole climate change problem, which is why some experts think it’s time to study more radical tactics. The notion of geoengineering—hacking the climate to cool the planet—is controversial, awe-inspiring, and to many, terrifying. And yet, despite their own grave concerns with the idea, a group of researchers believes the time has come to explore whether planet-hacking might really work. Earlier this month, Harvard University officially launched a Solar Geoengineering Research Program, which brings together academics from the hard and social sciences to explore the feasibility of stalling global warming by altering the composition of the stratosphere to block incoming sunlight. If you think this sounds extremely risky and a tad dystopian, you’re in good company: The researchers themselves are terrified of what solar engineering could lead to. But when it comes to studying the idea, they say we have to weigh risk versus reward. And frankly, the risks of unchecked climate change are also pretty scary. Planet-hacking, as a concept, has been around for decades. Ideas for how to cool the Earth with technology run the gamut from dumping a bunch of iron filings in the ocean to stimulate carbon-hungry phytoplankton, to making Earth’s clouds more reflective by seeding them with light-scattering particles, to sticking a giant solar reflector up into space. But with the exception of a few small-scale field tests (and at least one very illegal experiment), these science-fictional ideas have lived within the confines of computer models, laboratory experiments, and conferences attended by a niche community of researchers. The establishment of the new Harvard program, which has raised over $7 million in seed funding so far and is backed by tech luminaries like Bill Gates, is a clear sign that geoengineering has broken into the mainstream. Notably, the program’s launch coincided with the announcement of a Harvard-led field experiment that will begin to test one of the most widely-discussed planet-hacking ideas of all: solar engineering, or injecting shiny particles into Earth’s stratosphere to block incoming sunlight. It’s a concept that draws inspiration from one of the most awe-inspiring natural processes on Earth—the volcanic eruptions that periodically belch vast plumes of sulfur dioxide gas into the stratosphere. Once airborne, SO2 gets converted into sulfate particles, which can spread out across the globe, scattering enough sunlight to produce a noticeable dip in Earth’s average temperatures. This phenomenon was most recently demonstrated by the Mount Pinatubo eruption in 1991, which cooled the oceans enough to briefly depress global sea levels, according to a paper published last year. But in addition to cooling the planet, sulfate particles can have a slew of unwanted side effects in the stratosphere. For one, they can also absorb solar radiation, and infrared heat from the Earth itself. Worse, sulfate aerosols trigger a series of chemical reactions that destroy ozone, which protects us from the sun’s most harmful ultraviolet rays. Keutsch, who is collaborating on the experimental portion of Harvard’s solar engineering efforts alongside physicist David Keith, is interested in identifying particles with a comparable amount of light scattering to sulfate, but fewer unwanted side effects. They’ve been experimenting in the lab for several years, studying the properties of test substances like calcium carbonate under experiments that mimic the low temperatures, low pressures, and next, high UV radiation of Earth’s stratosphere. But nothing beats a field test, which is where Keutsch and his crew have their sights set next with a Stratospheric Controlled Perturbation Experiment (SCoPEx). The SCoPEx experiment, which could start as early as next spring, consists of a balloon that would launch from a test site near Tuscon, Arizona, and spray a kilogram or less of a test material into the stratosphere to produce a small cloud, roughly a kilometer long and 100 meters wide. After the injection, researchers would remotely steer the balloon back and forth through the cloud, monitoring what happens to the material and the air the particles are introduced to over the course of 24 hours. Initially, they’ll do a dry run with water vapor, moving onto other substances like calcium carbonate and sulfate if the equipment all seems to be working. If field tests go well, and the team identifies a promising material, the next step would be to go back to the lab and do aging experiments, to see what their particles looks like after a few years in the sky, Keutsch said. Although cloud seeding to control regional weather has been pursued for over half a century, there has never been an injection of particles into the stratosphere for the explicit purpose of testing solar engineering, which might one day be used to alter weather patterns globally. Keutsch sincerely hopes that technology like this never has to be deployed. “The idea of trying to do something like that is really, quite terrifying,” he said. “The big task is to do what we have to get CO2 emissions down to zero and below zero,” Gernot Wagner, a political scientist and executive director of Harvard’s Solar Geoengineering Research Program, told Gizmodo. “One question is, how will what we do here [with solar engineering] interact with society’s willingness and desire to mitigate?” In other words, will the mere act of exploring geoengineering distract us from the monumental tasks of cutting carbon pollution and preparing the rising seas? To put that moral hazard in simple terms, Wagner uses an analogy to medicine. If a patient is prescribed Lipitor to reduce his risk of getting a heart attack, he’s got two options. He can take the doctor’s medicine, keep eating bacon-covered donuts every day, and hope for the best. Or, he can take the mere fact he was prescribed Lipitor as a wake up call that some serious lifestyle adjustments are needed. Right now, human civilization is a bit like a patient who eats Cheetos and sits on the couch all day farting. If the planet doctors come up with a miraculous geoengineering treatment that stalls the effects of climate change—even though it does nothing about the buildup of greenhouse gases that triggered the problem—will humanity use that as license to keep burning coal like there’s no tomorrow? 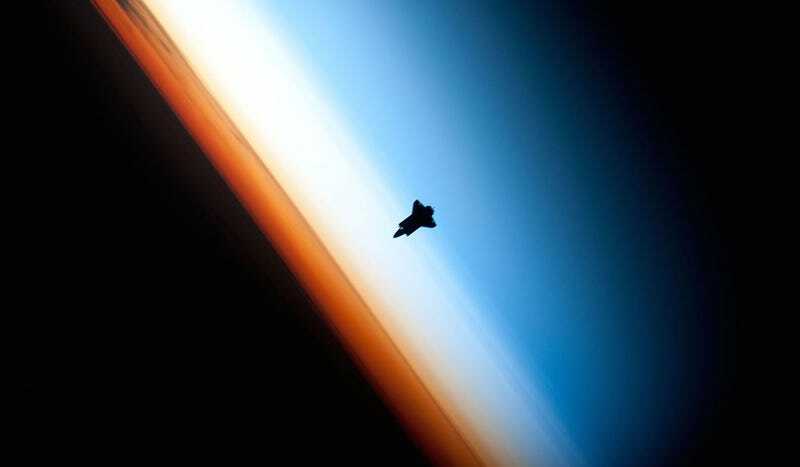 “In isolation, solar geoengineering is terrifying. You might even describe it as nuts. The question is, nuts compared to what? It sounds like a subtle concession, but in reality we’re witnessing a monumental shift in attitudes toward what geoengineering. And perhaps that shift shouldn’t come as a surprise: After all, humans are still pouring roughly ten billions of tons of carbon into the atmosphere each year, a rate unprecedented since the extinction of the dinosaurs. The most powerful nation on Earth is considering abandoning the Paris Agreement. We’re locking ourselves into sea level rise, ocean acidification, and other climate change impacts that won’t just affect our kids and grandkids, but potentially, every living thing for thousands of years to come. If right now isn’t the right time to explore any and all mitigation options, then when?